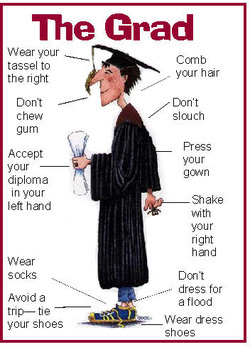 Once you have chosen to attend the graduation ceremony, you must fill in a GRAD ORDER FORM and pay the fee. Your Grad Fee can be paid on-line through the school's School Cash Online system. Be sure to bring in the completed order form to the library to reserve a cap and gown for your special day. A cap and gown will be ordered for you. Refunds are not possible after the deadline as the money is paid with the order. Be sure all your books are returned and all your fines are paid. Download the form below and hand in.